…when you remove its standards, blur its focus and strip away its purpose. And a lot of churches are happy to do that for you. We aren’t one of them. Jesus talked about a narrow path. A lifestyle as challenging as it is rewarding. That’s the road we’re interested in walking. Our job—the mission Christ gave to us—is to share God’s message of life, hope and truth with the world. We don’t believe that message needs to be updated or polished or reinvented for the modern age. The words of God are as timeless and powerful today as the day they were first recorded. The Bible contains the reason you were created. It contains God’s plan for you and what He expects from you. It explains where the world is heading and why—and how God is going to rescue it. It contains the blueprint for living a successful, meaningful life in the present, and inheriting eternity in the future. As the Church of God, a Worldwide Association, our job is to share that message with the world and then care for those who respond to it—to give them a place to grow and flourish. We are a community, a brotherhood of believers, marching together toward a common goal—the future promised to us by God. If you would like to know more about our church and beliefs, download this free booklet! We’re here to help it make sense. 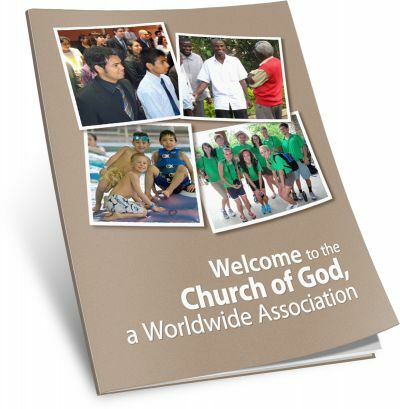 We have over 10,000 members in more than 200 congregations around the world. We meet every Sabbath to fellowship and worship God. We trace our origins (and our beliefs) back to the first-century church founded by Jesus Christ. Last year our members met at over 40 sites around the world to celebrate the Feast of Tabernacles. Our members support and serve in a variety of international humanitarian projects from Africa to Jordan. We’re supported by donations and tithes—everything on our site is available FOR FREE. We believe in supporting the next generation and the people raising them. We run a nine-month Bible program designed to explore the Bible in greatest depth. This isn’t just our job, this is our life. Ask us a question or send us some feedback!